Lee Zeichner is the Founder and President of Zeichner Risk Analytics LLC. Since his service as senior counsel to the President's Commission on Critical Infrastructure Protection from 1996-1998, he has led development of cybersecurity policy and operations for both leading public and private sector clients. 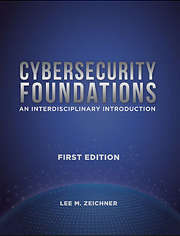 Mr. Zeichner has published extensively on multiple aspects of cybersecurity law and is the author ofCyber Security & Corporate Liability, a guide for corporate counsel on cybersecurity and risk management, published by LexisNexis Publishing in 2001. Mr. Zeichner currently consults on cybersecurity issues for the Department of Homeland Security, and has performed multiple risk assessments, including a review of the Executive Office of the President and other Federal Departments. He has served as Security Counsel for the Business Roundtableâ€™s Information and Technology Committee since 2001 and promotes cybersecurity as a member of the American Bar Associationâ€™s Standing Committee on Law and National Security, where he has served since 1998. Mr. Zeichner is a graduate of Georgetown University Law Center. He graduated from the University of Florida (Phi Beta Kappa) and received his M.A. in East Asian Studies from Stanford University. Mr. Zeichner is a member of multiple bar associations, including the Florida and DC Bars, the Court of International Trade, and the Court of Appeals for the Federal Circuit. Mr. Zeichner speaks Mandarin Chinese.